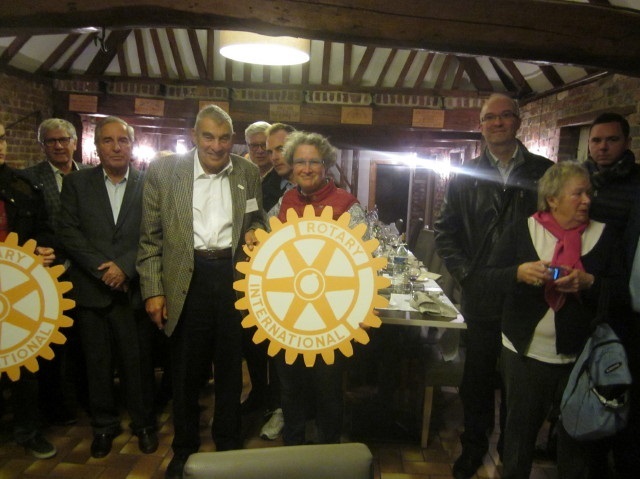 Nine members of the Rotary Club of Rye and Winchelsea travelled to France to attend a joint meeting with their contact club, the Rotary Club of Beauvais. The rendezvous last weekend (November 2-3) was in a village close to St Omer where “Franglais” was the popular language of the day. An excellent lunch was followed by a tour of the Genievre Gin Distillerie in Houlle. The most important issue of the day was the rekindling of the two clubs’ relationship and the arrangements for a future visit to Rye by the French members. The Rye and Winchelsea members returned home having had a most enjoyable day and all supporting a fine rosy glow. The most remarkable aspect of the day was that Brexit was hardly mentioned! Image Credits: Rye and Winchelsea Rotary.